Why Do You Love That Dog? Every breed of dog has something about it that makes it unique or interesting. 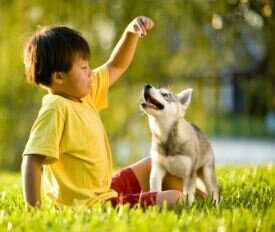 People are naturally drawn to different types of dogs for all sorts of different reasons. Dog owners have even chosen a particular kind of dog for something as simple as liking the colour or the size. Whatever it is that draws you to a certain breed of dog, make sure you have enough information so that you know what you are really letting yourself in for. Which Type Of Dog Is Perfect For You? Dog breeds explained - A full listing of all dog breeds.